When people age, they often will require some sort of assistance to get through the day. Some older individuals will need only partial help with their everyday lives. Meanwhile, there are other seniors who will need more constant care and supervision to safely live. This care can come from a staff at an assisted living home or from a caregiver within the comfort of one’s own home through senior home care services. Assisted living homes and home care agencies have their own benefits, but which one is more suitable for an elderly individual depends on various preferences and factors, including the elderly individual’s own unique care needs. If you need help deciding between assisted living homes and home health care for your elderly loved one, refer to the following information as a guide. Assisted living homes are community facilities where seniors all live in the same building but each have their own rooms. Residents receive partial daily assistance with tasks such as eating and bathing, and the facility may offer other services as well: housekeeping, laundry, and transportation among others. With dining programs, residents also do not need to worry about preparing their own meals. An important thing to note is that the care provided in assisted living homes isn’t on-on-one or personalized to the senior’s needs. The staff working at an assisting living home cares for all residents in the home and only helps with certain tasks. This also makes it so the senior doesn’t get to know the person caring for them as well, which some seniors may want. That said, elderly individuals who age within an assisted living home are better suited for more independent seniors who don’t require constant, customized care. Furthermore, because of the community aspect of assisted living homes, residents can also partake in recreational activities and events the facility offers, giving seniors various options for leisure. The community aspect, however, is important to consider when deciding whether an assisted living home is the best choice for your loved one. If they don’t enjoy living amongst others, even though they have their own private room, then an assisted living home may not be right for them. Home health care is care provided within a senior’s own home. Furthermore, home health care allows elderly individuals to remain in a comfortable, familiar environment while still receiving the care they require. Whether an elderly individual needs full-time assistance or partial assistance with their day-to-day living, those needs can be met with home health care services. Knowing this, home health care is a good choice if you have elderly relatives who require more constant care and supervision, such as seniors in wheelchairs or who suffer from dementia. 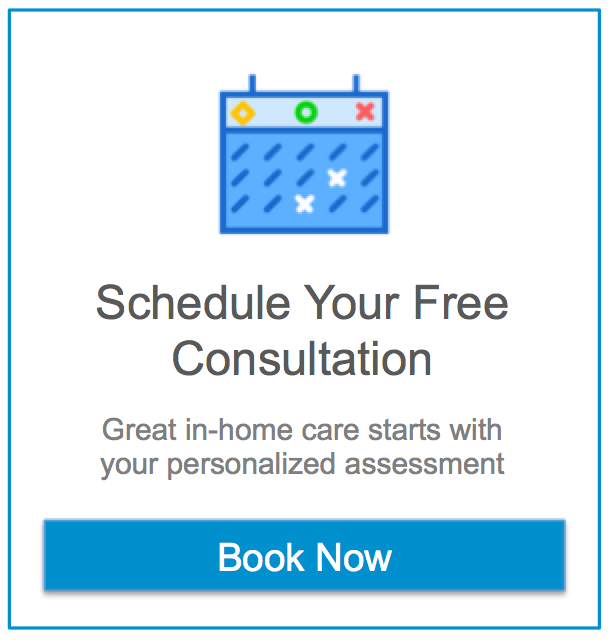 With such services, the home care agency can develop a personalized care plan that meets all of a senior’s unique care needs, so there is no concern over whether a person gets proper, sufficient care. Caregivers can provide non-medical help with personal care, meal preparation, medication reminders, light housekeeping, errands, transportation, and more. They can also help seniors safely move around their home with transfer assistance and help them with personal hygiene activities like bathing and bathroom use. Plus, there is the added benefit of caregivers also acting as companions to their elderly clients. With one-on-one care, caregivers and seniors have the time to get to know each other, which is what some elderly individuals would prefer when receiving care. As such, if you are concerned about an elderly loved one who lives at home alone getting lonely, caregivers can solve that problem by providing both in-home care and companionship. When deciding whether an assisting living home or home health care is better for your elderly loved one, ultimately, the biggest things to consider are their needs and preferences. Do they want to stay at home? Do they like the idea of living in a community? Do they need partial assistance with everyday living, or do they need full-time help and supervision? Home health care tends to be more costly, but if your elderly relative needs constant, personalized care, then home health care is your best choice. They just won’t be able to receive the kind of care they need in an assisted living home. If you or a loved one is in need of senior home care, Assisting Hands Home Care in Miami Beach, FL and the surrounding areas, can help. We have numerous elderly home care services to help your elderly loved ones with whatever they need. We can provide full-time help or partial assistance and will customize our care plans to meet your loved ones’ unique needs. Our caregivers, who have first aid and CPR training, can be trusted to provide effective help with personal care, meal preparation, transportation, and more. Our caregivers will even be companions to your elderly relatives, taking the time to get to know them and build personal relationships. What are the Differences Between Home Health Aides (HHA) and Certified Nursing Assistants (CNA)?